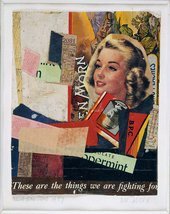 This half-day conference brings together leading scholars in the field to discuss Kurt Schwitters's British period and its broader context. Topics will include emigre artists in Britain in the 1940s, Schwitters's connections with British art and artists in London, the relationship between abstraction and representation in his work, and his final years in the Lake District including his work on the Merz Barn. Speakers include Shulamith Behr, Sarah MacDougall, Nick Wadley, Lloyd Gibson, Michael White and Rob Airey.